This stock market tutorial gives you the stock market basics. Investing and trading in the stock market is no different from any other worthwhile endeavor. Doing it well requires an understanding and an application of techniques and a lot of practice trading stocks. And most important, a control of emotions that maximize opportunities and minimize mistakes. Learning the proper mindset and stock trading psychology is crucial to your success. Most people who try their hand at stock trading are to lazy to even learn the stock market basics, let alone advanced techniques. Learning about the stock market is to much work for them...most just want to find those hot stock market tips and to make a quick buck. This is about as easy to do in the stock market as making it big in professional sports or to become a movie star. As in sport and music, most stock market players are amateurs. They are engaging in an unfamiliar activity outside their field. When they make a move, it is usually wrong. To learn about the stock market and be successful trading stocks takes time, knowledge, patience, discipline and commitment. 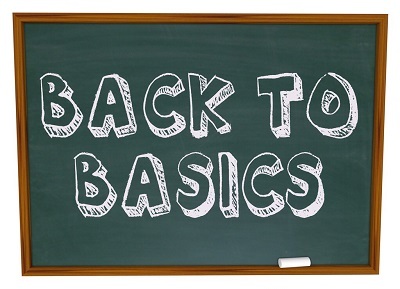 You need to know the stock trading basics. Take the time to read this stock trading information and stock trading education guide. Also check out the products and resources page for additional educational resources. Just like a well trained athlete who is constantly training and practicing to become a star in his sport, you must practice trading stocks consistently to be a "star" stock trader. There are hundreds of complex stock trading courses out there. This web site was created to take that "complexity" out and simplify things for you. Read through and study this stock investing guideline in its entirety. This will be the best online stock trading advice you have ever read!! Next, move on to the Types of Stocks page, the next step in your stock trading course. See...learning about the stock market can be fun! William J. O'neil, author of the classic book How To Make Money In Stocks: A winning System In Good Times and Bad, has written an outstanding book called Guide To The Markets. This is the quintessential guide for anyone interested in gaining insight about the financial and stock markets. This book is awesome and is very Easy-reading. It gives both newcomers and seasoned veterans valuable insight and quick reference reminders covering the entire investment and financial spectrum from stocks, bonds and mutual funds to futures, options and the international marketplace. The Encyclopedia of Investing for Amateurs and Professionals alike! Return from "Stock Market Basics - Conclusion" to "Stock Market Nuts & Bolts: Stock Market Information"